Humanity is coming closer together than ever in our history. We are raising the level of vibration of humanity as a whole and these higher vibrational energies will affect humanity. These energies affect all of us and it’s best if we embrace them. By letting them flow freely we will awaken to our own truth and become a part of this global change as well. As we awaken we will become conscious of our inner woundedness and our shadow self. The emergence of the shadow self may not be pleasant but it’s crucial for the shift to take place. It’s how we heal on a deeper level and transcend past trauma. As humanity raises its vibration a couple of effects will be felt around the world. 1. Growing communities that take action to save the environment. Humanity has come to unite in defending ourselves from toxins that bring poison to the air we breathe and the food we eat. We rise up to save our planet against impending calamities brought by human activities. More and more people wake up to realize the harm our actions do to the environment and actively choose better ways of living that are in harmony with Nature. Communities and individuals take drastic action to save the planet and promote alternative ways of using energy. Some even invent brilliant new ways to gather and manage energy. More people realize that it’s only by coming together and standing for Nature that we’re able to protect ourselves, the environment, and every living creature in the planet. 2. Bigger and faster connection between people. As our consciousness raises to higher levels, we are naturally led to others who are also walking on the same path of consciousness. Better opportunities show up to connect our minds all across the world, increase the sharing of our ideas and make information available to all. We come to connect and support each other as if our encounters are meant to be. 3. Awakening to your purpose. Because we become highly conscious of our inner selves, we make deeper connections with our soul. We discover more about our passions and interests. Our passions and interests bring us closer to our purpose. It’s in following our passions that we reveal to ourselves what we are supposed to do in the here and now. Our path is not found outside, it’s within us. We understand this even better as we awaken to our purpose. We face our shadows to unleash the powerful surge of energy necessary to fulfill our missions in life that are projected through our purpose. 4. Expansion and promotion of healthy lifestyles. As we raise our vibration we start to sense that we need better and healthier ways of living. That’s why there is a massive expansion of healthy programs and diets being promoted on every corner. The world seems to become obsessed with healthy lifestyles. This is because a healthy lifestyle gives the additional energy we need to raise our own energy to the same level other positive individuals seem to vibrate on. In order to raise our own vibration we need to integrate a healthy diet, habits and environment around us. Trends like meditation, yoga, veganism, exercising and alternative ways of healing are being accepted as the norm in many human societies. In a stress filled world people turn more to stress releasing techniques and lifestyles that enhance relaxation. 5. Innovation of technologies that help in raising human consciousness. The bigger and faster connection between people from all around the world enables for ideas to clash and merge creating new innovations that we could not imagine by our own. These new technologies will serve as outlets for humans to further grow their consciousness and evolve in better species. 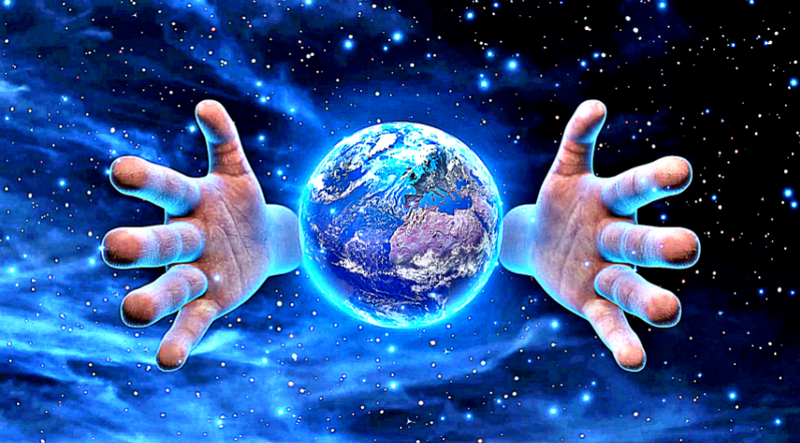 The high energy of humanity creates a big demand for platforms where humans can awaken and grow their consciousness. If you feel you are not aligned with the higher vibration of humanity, don’t worry, there are ways you can come into alignment with these higher vibrations. 1. Find out the things that make you happy and ignites your interest. These are the things or activities that bring you the most joy and fire up your interest. Your passion lies in the connection between this two. Once you find a passion of yours, test it. Explore all the possibilities and options around it before you go for it. Each of your passions is a guide that leads you closer to your purpose. 3. Face your fears and limitations. These fears and limitations prevent you from becoming the being you’re supposed to be. They are the obstacles that stand between you and your purpose. Recognize them because they hold your truth. Do not fight them, accept them. Face them. Then look beyond them. Listen to your intuition and trust it more often. Its guidance will never fail you. Remember that your intuition is like a muscle and the more you trust it the more you train it. 5. Embrace the divine guidance. Look at the synchronicities that keep happening to you. They serve as your guide in this journey. Ask why they happen. Try to see what they tell you and what you can learn. Changing your reality may seem like a personal journey. But it’s only your part in helping the shift to take place. Remember, it’s a collective consciousness. You need to embrace your part. Once you tune in to your inner self you will connect to the flow of humanity’s evolution.